I’ve loved scribbling about my thoughts, feelings and the highlights of my life into a personal journal every since I was a young girl. I’d write until my hands ached because it was important to me to capture every detail of whatever I was writing about so down the road I could recall the memory completely. Many times I have laughed and cried from reading what I’ve written down. It really is a lot of fun to go back and read through your journal and be able to relive your thoughts and experiences from years ago. Some people have never kept a personal journal. They might not like to write or they don’t feel like they have the time to write regularly. But think of the memories and important events they’ll forget because they didn’t write it down! Don’t let that happen. I found a perfect solution to getting people to journal who haven’t done so before or who want to but can’t find the time – the One Line A Day Journal . One line a day. That’s it. That’s all they have to commit to. One solitary sentence. Think of it like a Twitter journal. Anyone can write 140 characters each day. That’s easy peasy! 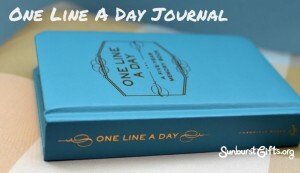 The One Line A Day journal is unique in that it is designed to record five years worth of journal entries on each page. 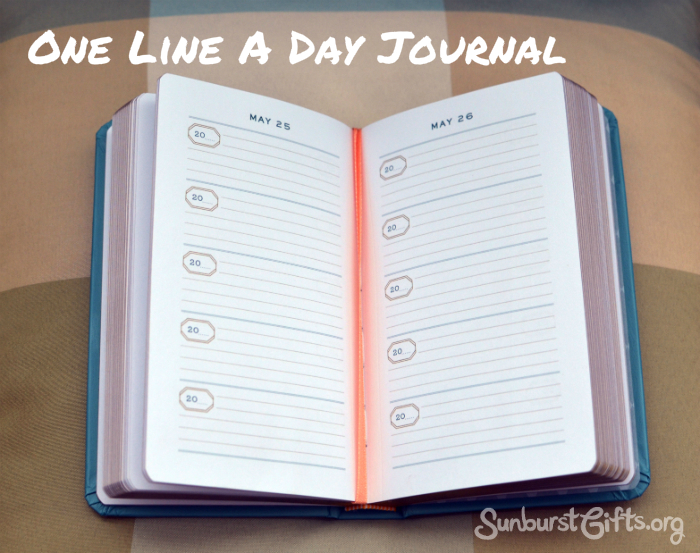 As people write in their journal, they will be able to revisit their thoughts and memories on that specific day over a five year span. 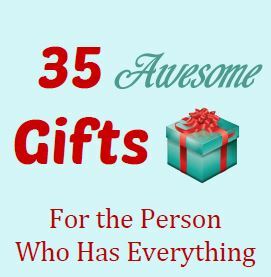 You can also give this gift to someone right before their senior year in high school so they can chronicle their senior year and college experiences in one keepsake journal. This memory book also makes a wonderful Christmas gift. What better time to start a journal than on January 1?! The One Line A Day Journal also makes a great gift for birthdays and for someone who is about to go on a big trip. 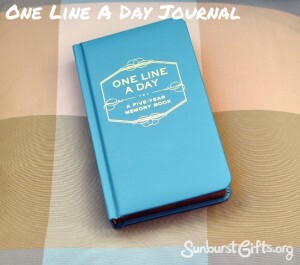 There is also a purple version called Mom’s One Line A Day Journal . 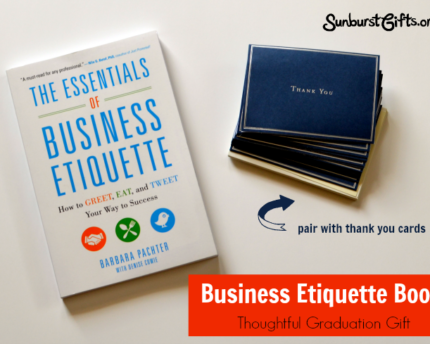 You gave some great uses I wouldn’t have thought of – love the idea of giving it to a senior high school student. 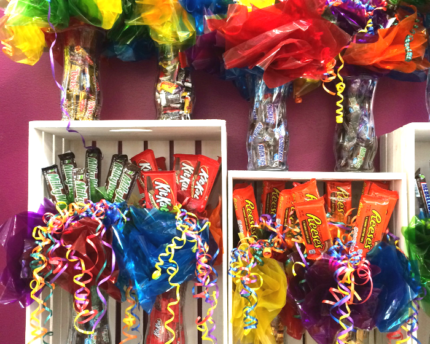 There’s also a Mother’s version of this great gift. Thank you. Yes, I love the purple color of the Mom’s One Line A Day! 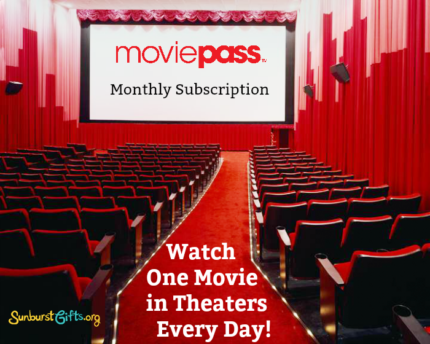 Thanks to you I just updated my blog post to let people know of the Mom’s version!